I feel the same about Howard's stolid filmmaking style — have you seen The Da Vinci Code lately? — so when I learned he was the director of Rush, the story of the 1970s rivalry between Formula One race-car drivers Austrian Niki Lauda and Brit James Hunt, I didn't exactly put it on my must-see list of 2013. 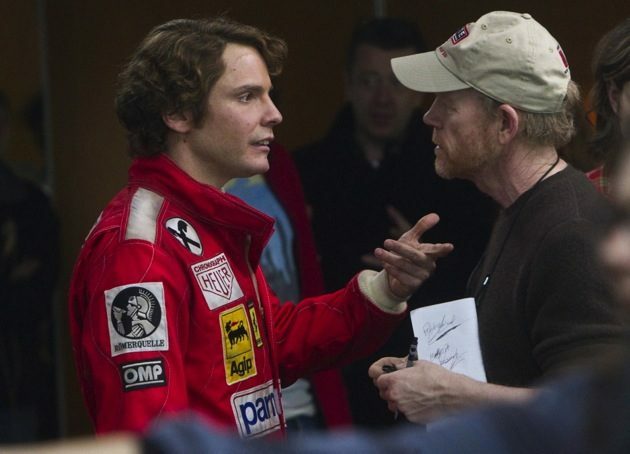 And pay special attention to Daniel Brühl, who may not be as handsome as Hemsworth, but is much more compelling as Lauder, the Austrian driver who was horribly burned in a crash at the 1976 German Grand Prix. Remarkably, he returned to the track six weeks later to keep Hunt from knocking him from his standing as the number-one ranked drive in the world. The actual outcome of that race is rather anticlimactic in movie terms — Lauda retired from the race — so it will be interesting to see whether Howard can make it pay off dramatically. That said, the film's September release date — when the film industry is getting into the awards-season mindset in earnest, suggests that he's found a solution. I'll be watching.